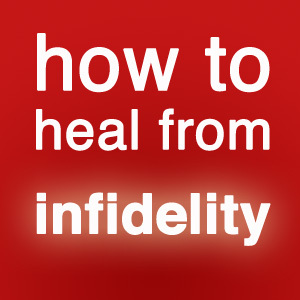 Although future posts will include a step-by-step guide for healing from infidelity, I want to jump start you on the process in case you just discovered the betrayal and you’re eager to improve things between you and your spouse. Healing from infidelity involves teamwork; both partners must be fully committed to the hard work of getting their marriages back on track. The unfaithful partner must be willing to end the affair and do whatever it takes to win back the trust of his or her spouse. The betrayed spouse must be willing to find ways to manage overwhelming emotions so, as a couple, they can begin to sort out how the affair happened, and more importantly, what needs to change so that it never happens again. Although no two people, marriages or paths to recovery are identical, it’s helpful to know that healing typically happens in stages. But forgiveness doesn’t just happen. It is a conscious decision to stop blaming, make peace, and start tomorrow with a clean slate. If the past has had you in its clutches, why not take the next step to having more love in your life? Decide to forgive today. This entry was posted in Uncategorized and tagged affair, divorce, divorce busting, infidelity, marriage, recover from infidelity. Bookmark the permalink.